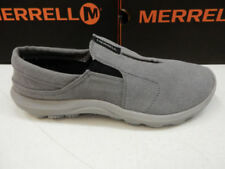 Merrel Select Fresh orange/grey NEW size 13 US. Shipped with USPS Priority Mail. Check them out! Good shape with normal average waer! The INSOLES ARE MISSING! 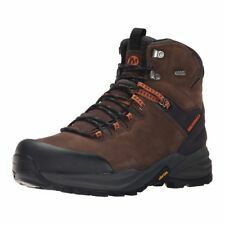 5 out of 5 stars - Merrell Moab Ventilator Mid Walnut Hiking Boot shoes Vibram Men’s size 13 GC! 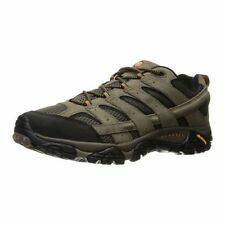 2 product ratings2 product ratings - Merrell Moab Ventilator Mid Walnut Hiking Boot shoes Vibram Men’s size 13 GC! Shaft Height 21.59cm. Heel Height 5.8cm. Molded nylon arch shank for midfoot support and flexibility. Merrell Continuum Performance Shoes Athletic Vibram Hiking Lace-up . Mens Size 13 The shoes are in overall good condition with only normal signs of wear throughout such as minor scuffs or creases. No original box but the shoes will be shipped well protected. Feel free to message me if you have any questions. Please check out our other listings as well. We are always adding new items! Thank you! Merrell Men's Hiking Shoes Size 13. Condition is Pre-owned. Shipped with USPS Priority Mail. Good used condition item. Shows regular signs of wear minimal lint/hair insoles. Great quality and comfort performance shoes. For exact item. Brown Leather Loafers. See photos. Bottom soles are dirty. Insoles and inner lining are dirty with the logo faded from use. Length (Heel to Toe-Outer soles): 13". Length (Insoles):12.25". Width: 4.5". 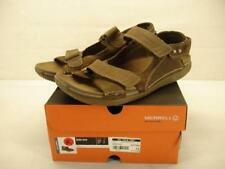 Men's Merrell Espresso Leather Shoes, Brown, Size 13. Condition is Pre-owned. Shipped with USPS Priority Mail. Model: J12063. Stretch collar. Elastic cord and lock lacing system. Color: Black. Pickup hours Kansas City, MO 64120. 10 : Wow ! What a deal. Barely any noticeable wear if any at all. MERRELL Men's Mix Master Shoes, Size 13 Smoke/Gold NEW. Condition is New with defects. Excellent new condition just missing sole inserts. Shipped with USPS Priority Mail. merrell vapor glove 2. Condition is New with box. Shipped with USPS Priority Mail. Merrell Men's Trail Glove 3 Minimal Trail Running Shoe - 13. Condition is Pre-owned, heavily used. Shipped with USPS Priority Mail. NIB Merrell Chameleon 7 Limit Men's Hiking Shoes Size 13. Condition is New with box. Shipped with USPS Priority Mail. Have been used but are still in great shape. Sole looks almost new.